The good news is that there’ll be another Costa del Folk next year. In fact there’ll be TWO! We’re back in Spain from March 14 to 19, 2015, with headliners Steeleye Span, and we’re launching a new Costa del Folk in Portugal in the Autumn. This one will be based at the Tivoli Hotel, Carvoeira from October 3 to 8, 2015. Now I’ve got my breath back, and in case you hadn’t heard, I thought I should tell you that the Costa del Folk was a triumph. None of us had a clue whether running an English folk festival in Southern Spain would work. But the verdict from hundreds of happy holidaymakers and over twenty great folk acts was that it was great. The sun shone, the music was stunning, and at the end of each day everyone had a comfy bed to sleep in. How would you fancy a folk festival with great acts, guaranteed sunshine, (well virtually) and a comfy bed to sleep in? 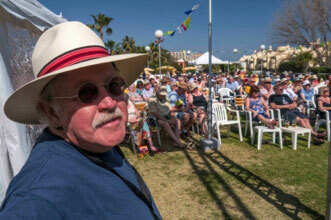 Well that’s what attracted me to the Costa del Sol Folk Festival in sunny Spain from March 14 to 19, 2014. And that’s why I’m looking forward to compering the five day event. I’m also looking forwards to seeing loads of today’s top folk acts, including Show of Hands, Demon Barbers, Mighty Doonans, Steamchicken and Blackbeard’s Tea Party. The festival will be held in and around the 4* Hotel Alay in Benalmadena on the Costa Del Sol and latest additions to the bill include the Tom McConville Band, Sean Taylor, Niamh Parsons and Graham Dunne, Fake Thackray, Flossie Malavialle, Hut People, Miranda Sykes and Rex Preston, Dave Burland and Rory Motion. For further information click onto www.costadelfolk.com and don’t forget your maracas. Mike’s currently on tour with sell out shows everywhere he’s played so far. And there’s a strong likelihood that his 100% record will be maintained as the tour progresses. 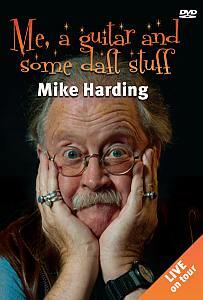 With a resume that reads folk singer, comedian, writer, broadcaster, fell-walker and fly-fisherman; it’s hard to pigeon-hole Mike Harding. That’s followed by a trip to Lancashire with an April 5 date at the 500-seat, newly-refurbished, Oldham Coliseum, after which he heads north to the Alnwick Playhouse before returning to Yorkshire with appearances in Hebden Bridge and Harrogate, (also sold out) then Whitby and Bridlington. The Sage at Gateshead is next on the agenda followed by appearances in Preston and Runcorn, and then more sold out Yorkshire dates in Ilkley, Selby and Penistone. The deep south – well the Midlands – is featured in the tour with dates in Peterborough, Mansfield, Solihull and Newcastle-under-Lyme, winding up with a return to Lancaster, followed by a trip to Lincolnshire to visit Gainsborough and, finally, Boston. Mike’s been described by Billy Connelly as the “funniest man in England” and acclaimed by his peers as the “grandfather of alternative comedy” and his recent tours have proved the point with sell out shows all over the country. Mike returned to touring two years ago after a 15 year absence from the stage to concentrate on writing and broadcasting. 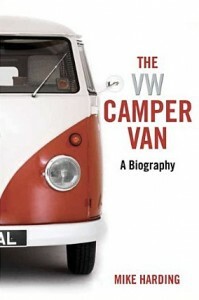 In that time he racked up a total of 40 books and plays published and built up Radio 2’s weekly folk show from an audience of less that 100,000 to almost a million. But as his fans know to their cost, he was axed by the BBC at Christmas with the excuse that they wanted to play folk music more in tune with the daytime output of Radio 2. 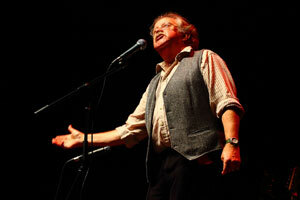 Undeterred, he’s launched the Mike Harding Folk Show on the internet featuring a combination of new releases and classic tracks which have stood the test of time. Mike’s new tour also signals a change of direction in that despite selling out 1,000-seat venues such as Blackpool Grand and York Opera House in recent visits he’s now decided to restrict himself mainly to smaller theatres in order to retain the intimacy of his performance. Here’s news to brighten up the winter gloom. Mike’s off on his fourth tour in two years next Month – but this time he’s breaking his self-imposed rule to never visit the same place twice. Filmed at Wakefield in Autumn 2011, the DVD includes some of Mike’s all-time greats, such as Uncle Joe’s Mint Balls, My Brudda Sylveste, Rosy-Cheeked Girls, Quasimodo and the Virgin Mary and The Ballad of Cowheel Lou. The DVD is now available from Townsend Records. To order your copy, check on the link at the side of this page. With his third tour in little more than a year, Mike’s certainly back on the road with a vengeance. Dates have now been finalised for the latest version of Mike’s ME, A GUITAR AND SOME DAFT STUFF tour. It’ll start on February 20, 2012, with two shows at the Georgian Theatre Royal in Richmond, North Yorkshire, before taking in venues the length and breadth of England – plus a one-night stand in North Wales. If you didn’t get hold of a copy of Mike’s new live DVD in time for Christmas you could always brighten up the New Year by ordering one now. Filmed at Wakefield Theatre Royal on November 19, the DVD includes some of Mike’s all-time greats, such as Uncle Joe’s Mint Balls, My Brudda Sylveste, Rosy-Cheeked Girls, Quasimodo and the Virgin Mary, the Ballad of Cowheel Lou and Bombers Moon. To get your copy, just click BUY NOW and have your credit card ready. The price is £11.99, plus £2.50 postage and packing.